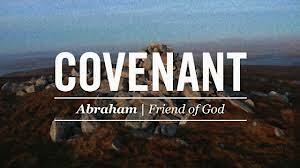 Abraham was called “Friend of God.” You too are God’s friend! The story of Abraham begins at the end of Genesis 11. He was the son of Terah, who Scripture tells us was at a minimum an idol worshipper, possibly a man who made his living as an idol maker. He lived in Ur, a thriving metropolis, a place full of the excitement of a city. And it is on this stage where we hear God’s call. God told Abram: “Leave your country, your family, and your father’s home for a land that I will show you. Just like that. He left the only city he ever knew. He took his things and his wife and left. And he journeyed through the wildernesses of the land of Canaan. God appeared to Abram and said, “I will give this land to your children.” Abram built an altar at the place God had appeared to him. First, have you noticed that Abram, and a lot of the people of the Old Testament, built altars to God… to worship Him… to acknowledge that God moved supernaturally in their life at a certain point? I believe it is important to remember to do that regularly. If we do nothing else when we go to a church building on Sunday morning, my prayer is that the time spent there is a time of remembering and thanksgiving — worship!